Learn the Secrets to Creating the Gorgeous, Creamy, Blurry Background Images You’ve Always Wanted, WITHOUT Buying New Equipment! 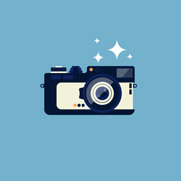 Have you lusted after the delicate bokeh circles in your competitors photos? Creating “bokeh”, or soft blurred backgrounds, doesn’t seem like it should be all that hard. Likely, you have some bits, and pieces, of the knowledge already rolling around in your head. Sure, you can find one tiny snippet of “what the deal is” here- or there- by spending days searching around online… trying to piece the story together. Wouldn’t you rather follow a single comprehensive guide, and instead spend more time shooting exciting images? So we’re going to help you starting right now, on this page. We have an expert on the subject of bokeh and blurry backgrounds. That’s right! You likely already own the gear you need to get started in this sought after “look” in photography. Why not place yourself in the position to have ALL of the information right at your fingertips, today? Introducing 'Creating Beautiful Background Blur' by Karlo de Leon: The easiest way to get a comprehensive and practical understanding of shallow depth-of-field techniques and secrets. 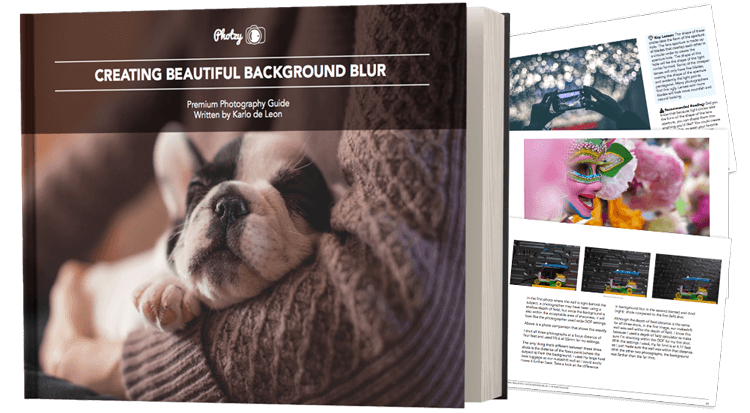 Read this premium guide, and you will instantly begin creating exciting images with Beautiful Background Blur. Images that will leave fellow photographers wondering how YOU got that incredible shot! “Creating Beautiful Background Blur” is a comprehensive technical training on the subject of depth of field. Yet- it’s even more than that. 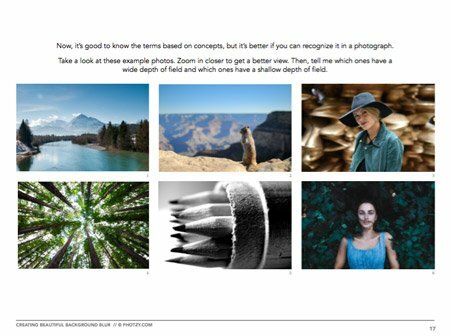 When you finish studying this premium guide, you won’t have a haphazard understanding of lenses, optics, depth of field, and bokeh. You will have an “expert level” understanding on these subjects. That’s what you’ve read online, I’m sure of that. However, what if that doesn’t work? 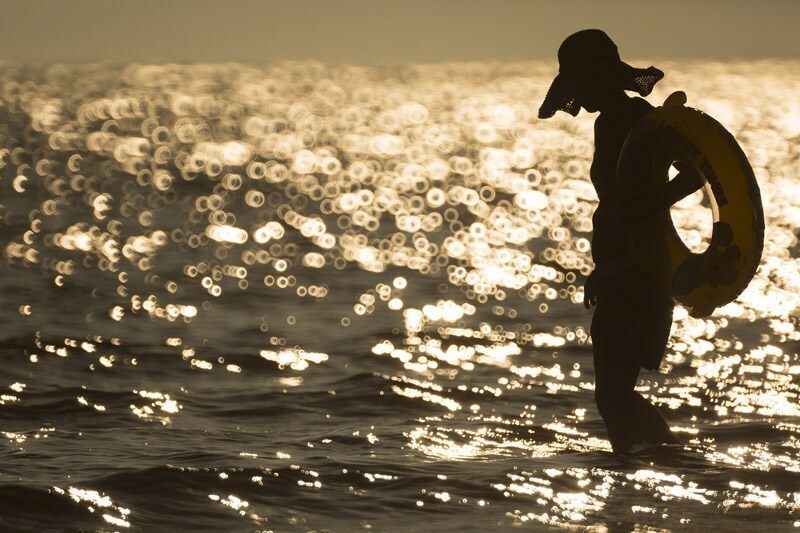 Are you dead in the water? Is there no alternative? Does your equipment stink? 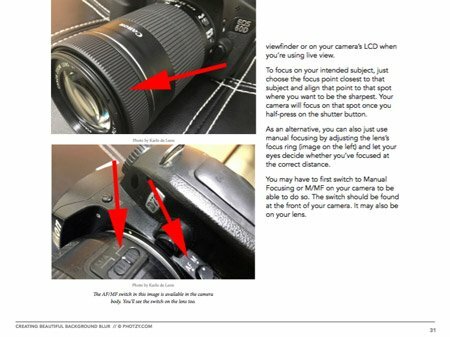 Must you invest thousands of dollars in a “fast” lens? This is where so many photographers go wrong. It isn’t any of those things. It’s simply getting the gear, which you already have, working in the right manner. That’s the honest truth. And with the right information (the info you'll be getting in this guide), you will get there today. 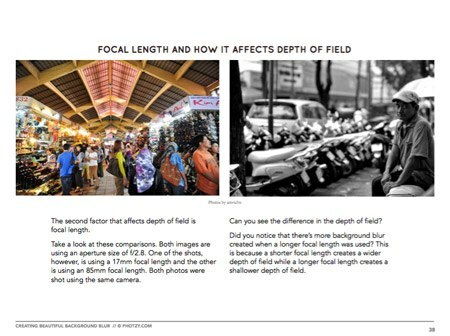 Remember – With this guide, you're getting a comprehensive tool for learning depth-of-field and a proven system for producing beautiful background blur. And, it's at a fraction of the cost of an in-person workshop. Plus you can re-read the material for FREE anytime you want, whenever you need a quick refresh. 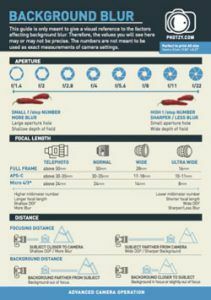 Don’t let your lack of depth-of-field knowledge cripple your ability to produce beautiful photography! 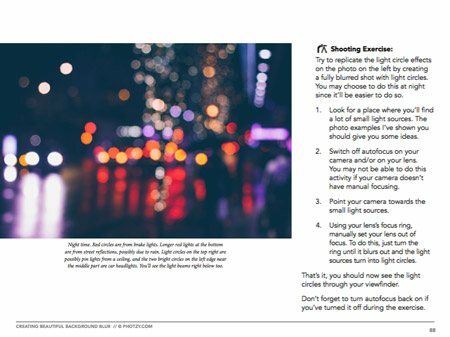 Click Add-to-Cart now to get your copy of Beautiful Background Blur + get the printable cheat sheet, for FREE! A handy cheat sheet for creating background blur that you can print and pop into your camera bag. 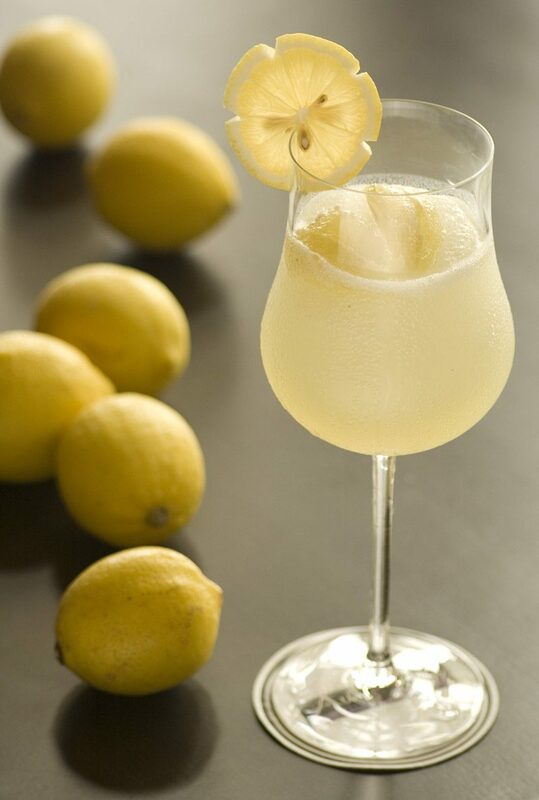 So you can get a quick refresher whenever you need it! 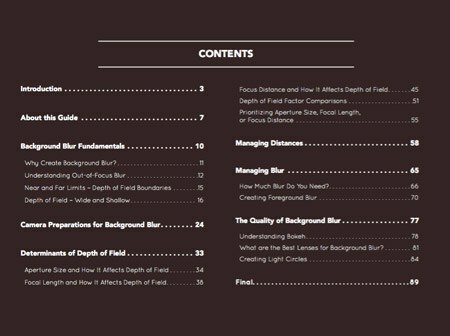 Get “The Creating Beautiful Blur Guide” and the “Background Blur Printable Cheatsheet”- for less than the cost of a fast-food meal for two. Thanks for the comprehensive guides, man! I like this one especially. I’m always lazy to change the servo-settings and want to kick myself afterwards as my subjects like to move-it move-it when they’re kids. With a 50mm 1.8 lens that’s also a photo killer. Thanks for all the Photzy stuff. You guys rock! 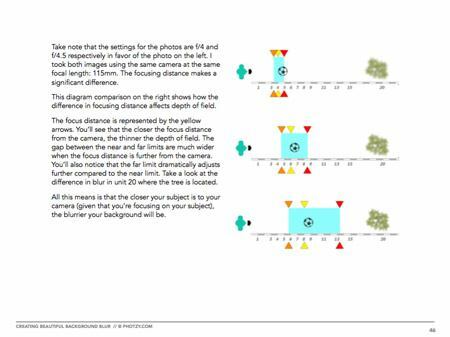 I wanted to let you know that this quick guide is the best one I have ever seen on the subject of lighting…. I knew about the three points of light for an effective photo, but the examples and the way it was explained made it all clear for the first time. Thanks for sharing. My Photzy experience has been very beneficial to my enjoyment of my photography journey. Excellent guide. One of the best quick guides. The waterfall pictures make the point the best. The one with texture conveys motion, the smooth falls does not convey motion but looks like a blown out overexposed highlight—which seems to be fashionable today. 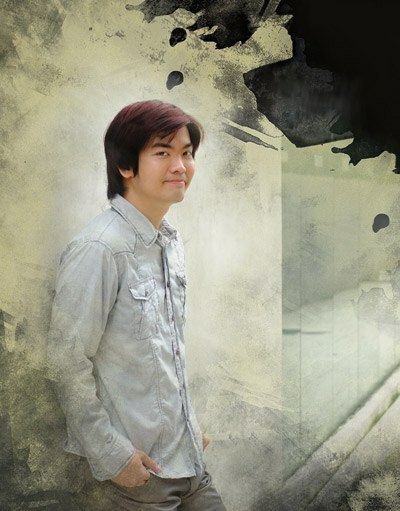 My Name is Karlo de Leon and I've been conducting beginner to advanced photography workshops since 2007. 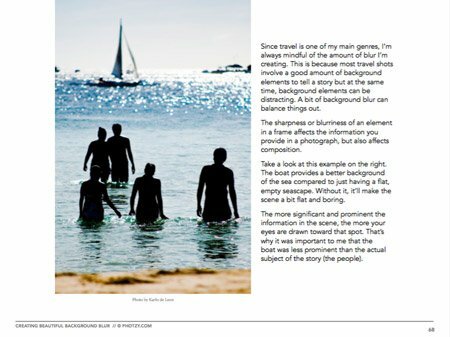 In this guide, I will clearly explain what it is that creates background blur so you'll be able to create them effectively. Your job is to take your camera out and experiment on different settings to figure out what kind of background blur you can get with the type of camera and lenses you have. Since I started my photography career in travel photography, I never had time to look at the numbers, so my training does not involve knowing exact measurements. Rather, I rely on my eyes and I compare what I see with what settings I use. I suggest that you do the same as you go through the material. If you find you like that approach, feel free to use it later on. Look friend. Don’t be left behind. ...in your photo group that is fumbling around with your camera trying to figure out what your depth of field is. Don’t be the one photographer… who can’t get the background blurred out behind the model during a group photo shoot. You have what you need! Now, you just need to know how to use it! OPTION#2 Take control of your photography now. Grab this proven guide. And let a world-class teacher give you the depth of field knowledge you need, to shoot like a pro, every time! 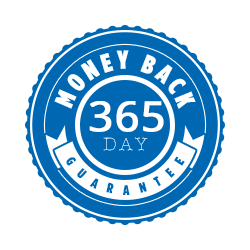 It's only $50 $19 for a limited time, and it comes with an unbeatable 365-day money-back guarantee.